Media has always played an important role around the globe. We live in a world of influence and social change - and as filmmakers, we want to contribute to a better world. The question is: How can we make better films that accelerate progress and help people become stronger critical thinkers? How can we expose issues that are important, and publish content that challenges popular conceptions? 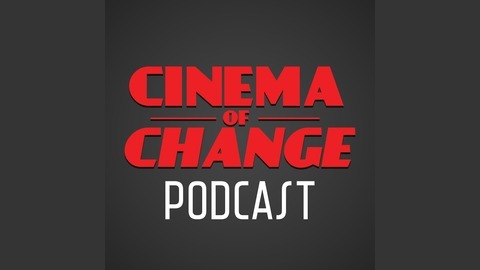 These podcasts along with the cinema of change magazine take a multidisciplinary approach and interviews filmmakers, psychologists, researchers and academics. It analyzes success stories of films that had an impact, and portrays companies that are following this path. Cinema of Change is a platform to bring impact filmmakers together to share ideas and to challenge our assumptions through debate. 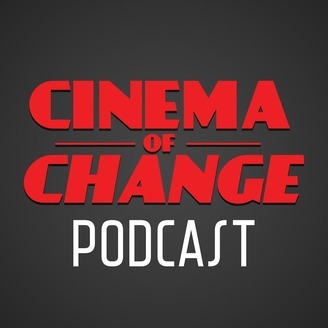 Welcome to the Cinema of Change podcast with Tobias Deml and Robert Rippberger. Cinema of Change is a magazine and community that challenges the conventions of film and its ability to effect change in the world. This episode is an interview with entertainment attorney Mark Litwak called, "Filmmaking Pitfalls in Deal-Making and Distribution." Mark Litwak is a veteran entertainment attorney. As a Producer’s Representative, he assists filmmakers in arranging financing, marketing and distribution of their films. Litwak has packaged movie projects and served as executive producer on such feature films as “The Proposal,” “Out Of Line,” “Pressure,” and “Diamond Dog.” He has provided legal services or worked as a producer rep on more than 200 feature films. Litwak is also the author of six books: Reel Power, The Struggle for Influence and Success in the New Hollywood(William Morrow, 1986), Courtroom Crusaders (William Morrow, 1989), Dealmaking in the Film & Television Industry (Silman-James Press, 1994) (winner of the 1996 Kraszna-Krausz award for best book in the world on the film business), Contracts for the Film & Television Industry (Silman-James Press, 3rd Ed. 2012), Litwak's Multimedia Producer's Handbook (Silman-James Press, 1998), and Risky Business: Financing and Distributing Independent Film (Silman-James Press, 2004). He is an adjunct professor at the U.S.C. Gould School of Law where he teaches entertainment law. Litwak has a B.A. and M.A. degrees from Queens College of the City University of New York. He received his J.D. degree from the University of San Diego in 1977. We hope you find this conversation interesting and insightful. Subscribe to make sure you don’t miss an episode. Until next time, be the change that you want to see in the world. Then turn it into cinema. Glenn Sparks: Is Media Impact Real?